This recipe was a complete and total accident. As much as I would like to say that I came up with the concept and then flawlessly executed it, that is simply not the case. 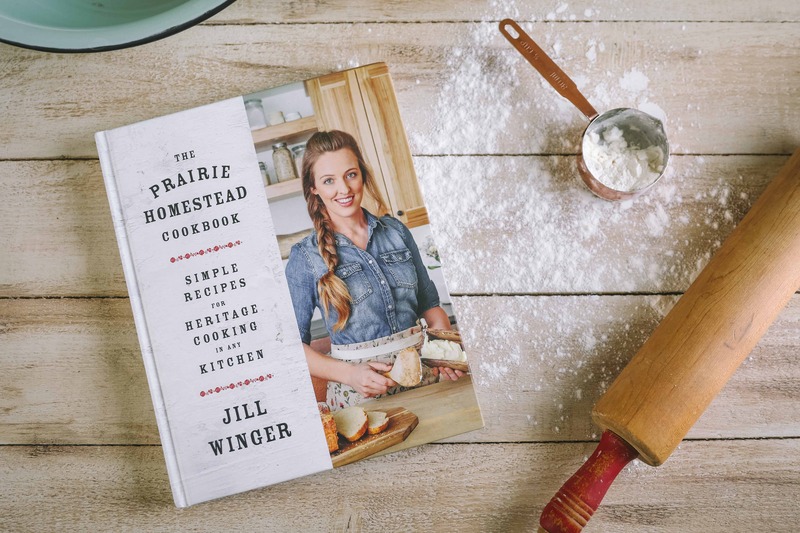 I’ve tried lots of different recipes in the past, and I actually rather liked the one that is floating around Pinterest that calls for hot vinegar and Dawn® dish soap. Although that choice is somewhat better than some of the commercial cleaners, Dawn really isn’t the most natural ingredient… So the search continued. I was shooting for a runny paste, so I was totally bummed when my little mixture suddenly hardened. Apparently, there was some sort of unforeseen chemical reaction happening between the ingredients. And I had just wasted a bunch of expensive soap… Not happy. 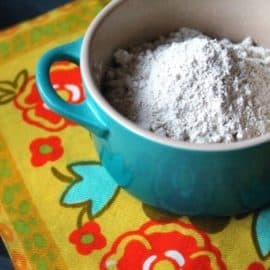 My frugal, er, stubborn, er, thrifty nature forced me to try to use my newly crunchified mixture before I tossed it in the trash.. And whatdoyaknow– it actually did a better job of cleaning my tub than than what I was intending to make in the first place! 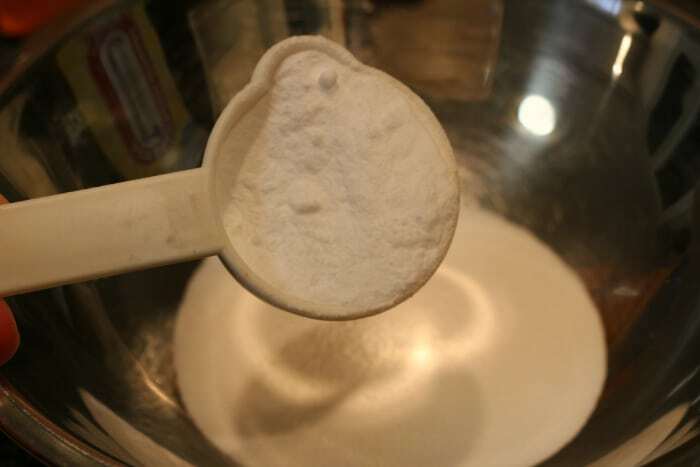 In a medium bowl, combine the baking soda and washing soda. 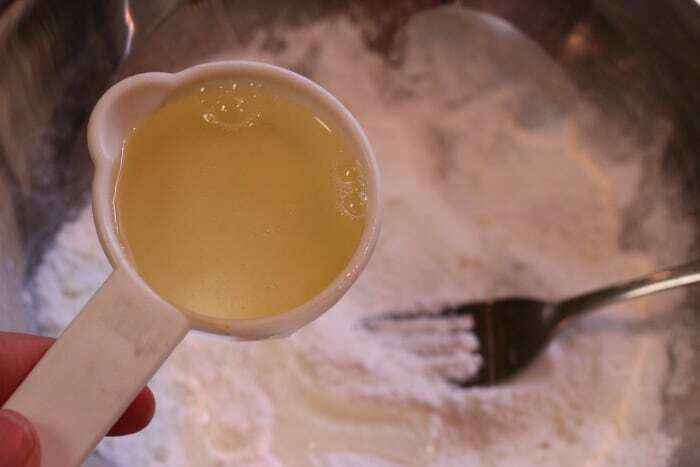 Then drip in the essential oils and mix these dry ingredients together. Add in the castile soap and get to mixing right away. The soap will begin to harden as it mixes with the washing soda, so you have a small window of time where it will remain workable. As it begins to harden, knead it with your hands and encourage it to form a ball. Press it into the mold right away– use something that is flexible (like plastic) so it’s not a major pain to pop the bar out once it’s ready to go. Allow your bar to harden, then remove it from the mold. Spray down your bathtub with water, then use your bar to scrub away soap scum and hard water. It doesn’t scratch, and it removes crazy build-up with hardly ANY elbow grease! Seriously– now that I’ve used this, I never want to go back to regular DIY scouring pastes– they are waaaay too much work! If the edges of the bar start to crumble, no worries. Use a rag to scrub the surface with the crumbs. 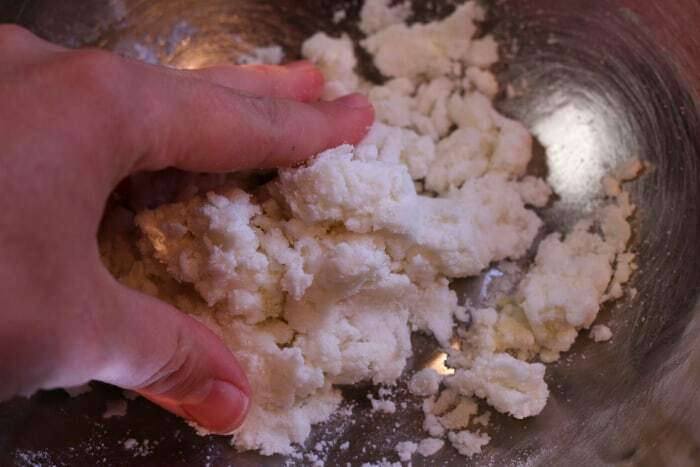 To store it: Allow the bar to dry out between uses- too much moisture will make it crumble. What is the chemical reaction? Is it safe? I called Church & Dwight Co., which is the company who produces the washing soda. They said that it is safe to mix with other components including liquid soaps, and the chemical reaction that is taking place is not harmful. So far, I’ve used my little bar on my stainless steel bathtub fixtures and my stovetop with no scratches. However, I recommend that you test a small area first, just to be safe. 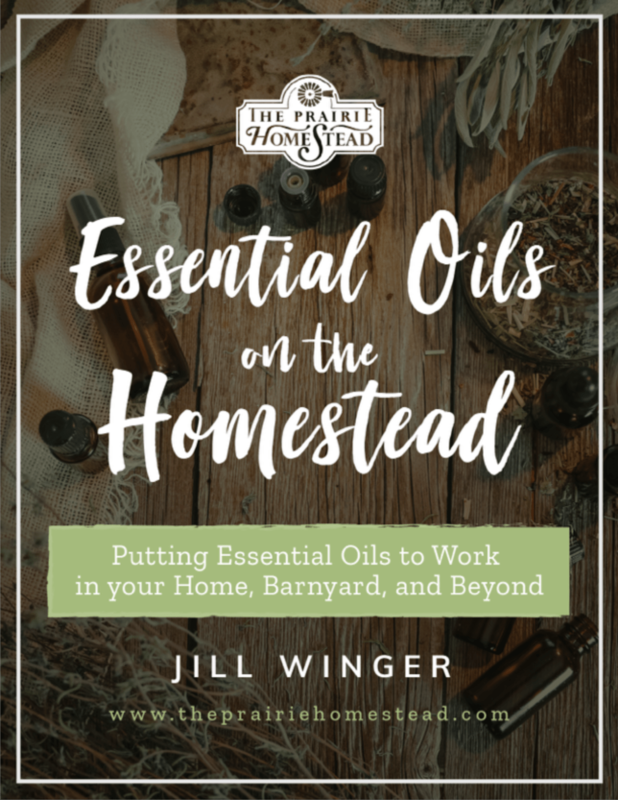 What are the essential oils for? Citrus essential oils are splendid for cutting through grease and grime. And they make your tub-scrubbing experience quite aromatically pleasing as well. 😉 Not sure what essential oils to buy? I’m in love with these. Sure! Feel free to omit them or play around with other combos. Thank you for sharing this recipe. I am interested in making my own cleaners and have never used Bonner’s castile soap. Much to my surprise, there were many negative reviews written stating the item “was diluted” and “no longer what it use to be.” Can you please give your take on the item and how long you have personally used it? Thank you so much. “When I was young……” Yadda yadda…….Doesn’t matter what it was, matters does it work? Yes, its still natural and it works! I use it for laundry soap. Janice – I use Dr. Woods now. It’s cheaper than Dr. B’s and feels better on my skin. It is also available in Black Soap which is a great multi-purpose cleaner. This looks awesome! Jill, does it break as you’re using it? 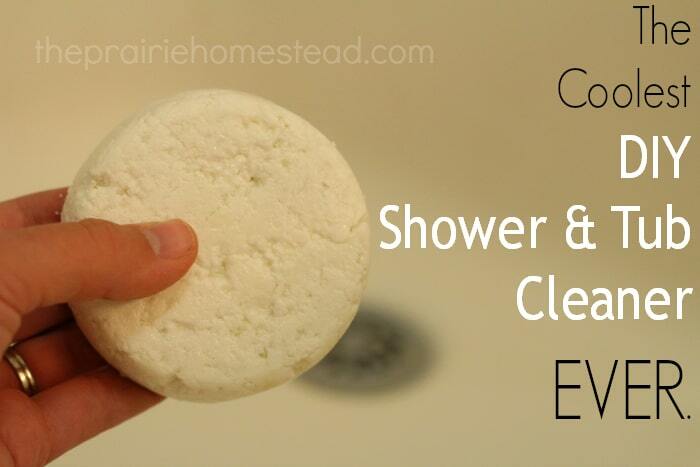 It looks like it would work like a pumice stone – does it flex as you’re rubbing the tub? Will definitely be trying this – anything to make cleaning the tub easier! Thanks Jill! This is so timely!!! Our tubs are nasty and I frankly never have time to do anything about it, though recently I tried. I can’t wait to do this. I have to ask though, I know that citrus is GREAT for cleaning, so I do want to add that element. I’m assuming plain old lemon and lime JUICE would work? Or will that create a different reaction from EO? I don’t have those particular EO’s. Thanks!! Hmmm… Good question– I know that sometimes the acidity of lemon juice can react with the castile soap and cause it to unsaponify, which equals a slimy mess. So, I’m not sure how it would effect this recipe– but you could definitely try it! Just FYI, ‘juice’ is a very different thing than ‘essential oil’. Juice is water-based and EOs are oil-based. They are not interchangeable at any time. The juice will have a different reaction with the other ingredients. In addition, it will dilute your product, adding more liquid than I think you will want in this product. Where can you buy castile soap? You are talking liquid, right? Yes- liquid castile soap– if you click on the castile soap link in the ingredients, it’ll show you where to buy it on Amazon. In my store, it is by the body soap. I have started making my own Castile soap. With just a little time and a few ingredients you can make your own and not have to go hunting for it like I did. 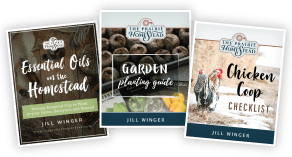 There are several recipes on the internet that will get you started. Oh! I’d like that recipe too! How long does the bar need to dry before it is ready to use? Thank you for sharing your great ideas with us. Jill – this looks like a great idea for a kitchen pot scrubber bar (for stainless steel, not my cast iron). I usually buy the pumice stones, but these would be so much cheaper. I had a same chemical reaction when making wellness mamas all purpose cleaner! Good to know it works for something! I totally remember having to scrub my tub clean when I had a cast iron tub! I’m happy not to need to clean the stainless one with as much elbow grease! Just when I thought I couldn’t love you any more than I already do, you go and do something like this. Bingo. If you have a tightly sealed house just mix it outside. I have a very old “airy” house, but I just might do it on the back porch with the fan pointed to outside. I can’t wait to get the washing soda and Castile soap so I can try this one out. Thanks. So many good inventions have come from mistakes. I loove your blog and all your input. I just made this and shared with my friends via FB. Then I read your update….did they mention WHY? Anyhow, I think it’s great and how much worse than other chemical stuff can it be? Let us know if you get any further info!! I will say that I made it and used it in my tub & it was amazingly effective. Thanks for the post and for being diligent in your follow-up! They said it was an “isothermic” reaction– but if you first mixed the washing soda with water and THEN added the castile soap, it’d be ok. The problem with that is that it’d no longer be a solid bar! I’m with you– I can’t imagine it being worse than the stuff they sell at the store, but I want to know for sure, so I will keep digging! Isothermic reaction only means a reaction that doesn’t change temperature. It’s a meaningless answer to your question. Saw your update….maybe check with a chemist? if you don’t know one maybe at a college? It would be really nice to know that this is not a bad fume chemical reaction because the recipe sounds great! Had a friend whip it up and tried it already a little bit ago and she loves it!! Please let us know…in another update..if you do talk to a chemist. Thanks!! I will! I don’t know any chemists, but I hope to track one down! I can’t imagine it’d be any worse than some of the nasty store-bought chemicals you can buy, but I want to know for sure! They make masks you can use. N95 by 3M is what I use when making lye soap. Yes– I have a hard time believing that this little reaction is more “dangerous” than what happens with lye– BUT, I plan to dig deeper to find out for sure. N95 masks will NOT filter out fumes, nor are they intended to. They are for dust and small particles. Using the wrong mask is more dangerous than no mask at all, because you think you are protected. where do you find castile soap at? Is it with the laundry soaps? Thank you for your response. Gonn try this once I know where to get the castile soap. In my store, Meijers, it is across the aisle from the body soap, Look for a large bottle as I have never seen a small one. Hope that helps! Thanks for the update! Maybe you could make this outside with a camp stove. Then you’d avoid any potential fumes during the making. Being that I’m pregnant though, I’ll probably just skip this until I’m not, and stick to backing soda and a rag. 🙁 Wish I knew a chemist! Thanks for the great tip though!! Did they say which ingredient caused the reaction? It doesn’t seem like something like WASHING soda should be reacting to a SOAP! 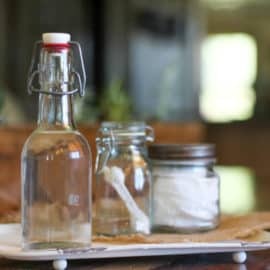 It’s the washing soda and castile soap– it doesn’t happen with regular dish liquid, but castile soap is a little different. Still hoping to research this more! I have great success with just baking soda on a sponge so this recipe makes sense to me. Do you know if it cuts hard water spots on glass shower doors? We have hard water and they are so frustrating to get off. Haven’t found anything yet that works. Thanks for sharing your happy accident. I don’t have glass shower doors, but it works great on hard water stains elsewhere! I’ve read that Coke (I know..) and vodka when sprayed on mineral-coated glass will disolve the minerals. You have to let it dry on the surface before rinsing it off. I suggest googling it as I no longer remember where I read it. Just spray with straight white vinegar. You may have to spray several times, so it gets a chance to “soak” then just wipe with a damp wash cloth and rinse clean!! Since I’ve made cold process soap before in my kitchen (in the sink) with no problems (kept my face clear of the bowl and cats in another room), I wasn’t super worried about making this. Just made it, whatever the chemical reaction is causes it to get warm as you’re forming it. There were no fume and it’s 60°F here, so house is open. I wore gloves and shoved it into silicone molds. It’s sitting in the oven hardening now. No muss, no fuss. Thanks! Oops. didn’t mean to reply to your comment. Sorry! So…as someone who has taken several 300-level chemistry courses, I’ve been thinking about this one, and I simply can’t see how it could be harmful unless you were huffing it. Of those, the only one that would be dangerous to inhale is the carbon monoxide, and if it did result, working in a well-ventilated area would be more than enough protection..
Elizabeth! I was hoping a smart chemist-person would chime in- and here you are!! *** typo: saponification REQUIRES heat. The hygroscopic activity of a strong base such as lye or potash with water produces heat. I also wanted to add something that you and your subscribers may not know; the EPA has stated in a flyer that they put out called “The Top 10 ‘Killer’ Household Chemicals” and in it is says that in just 26 seconds after exposure (through the skin) to chemicals, they can be found in very organ in the body. I have to think, not only chemicals, but almost everything we put on our skin gets absorbed as well. Does it even make a fume? I mean the way I’m reading this I don’t even understand how there would be a fume or smell. I think if anything I would be more concerned that my hands might get irritated by the washing soda. It’s kind of strong stuff isn’t it? My opinion is that if there is any concern whether unknowingly founded or unfounded as to the safety or possible irritation to the skin, I would opt to wear all purpose utility gloves while cleaning. Put a moisturizer or oil on your hands and put on the gloves while cleaning. A skin moisturizing boost for your hands while accomplishing some house cleaning tasks. That might come off looking a bit like the end of the world! There’s no need for all that protection..really. The reason they called her back to say that, is to cover their behinds! I’ve been making natural bath and body and cleaning products for nye on 20 years now and unfortunately, there are companies out there (not Dr. B, specifically) who have a completely different agenda than does the average person trying to make their world a bit more natural. Fear mongering (or scaremongering or scare tactics, is the use of fear to influence the opinions and actions of others towards some specific end. The feared object or subject is sometimes exaggerated…via Wikipedia), is a powerful tactic. Fear is a strong emotion and it can be manipulated to steer people into making emotional rather than reasoned choices (just watch a disinfectant commercial on tv that shows bacteria lurking on every surface..waiting to devour your children and grandmother). Anyway, Elizabeth, the chemist (see above), is spot on. There is nothing in this combo that is going to actually harm anyone. The castile soap is already saponified (you can’t ‘un’saponify it by adding to new ingredients) and there is no lye in it to react with the sodas. I would just refrain from snorting it and make sure you have your bathroom fan on or window open when using the product. Sorry for the long comment, I did want to say that I am thoroughly enjoying your blog! Thanks — To God be the Glory! thank you! . . . your timing is impeccable, my tub is seeing the affects of end-of-summer dirty bare-feet!! i only have peppermint castile soap on hand, so i’m going to add some peppermint essential oil to bump it up. as far as the fumes…seriously, how much worse could this be, than a bunch of bleach and chemicals we’ve snorted most of our lives ?? Yea!! What perfect timing!! Our master bathroom tub is HORRIFIC!! We’d been having trouble with it clogging (rent house, not sure if it’s us or prior renters) as soon as we’d turn the water on, and then was slow draining. Last week, I noticed the water was still in the tub the next morning after my husband showered!! EEK!! Anyway, I’ve been “patiently” waiting until the clog was gone before thoroughly cleaning it. Hubs announced the other day that it now drains. Not sure why – maybe we’ve finally plunged it enough – but either way, it no longer fills up as we shower. Let me just say that I would LOVE to send you before and after pictures of our tub! Oh. My. Word!! Granted, I ended up using about 1/2 to 2/3 of the scrubber, but it didn’t take much elbow grease at all to get our tub clean. Had I had a sprayer, it would’ve gone a lot faster – I had to use our kids’ bath bucket to rinse almost half of the tub because the shower head wouldn’t reach the back part of the tub. Congratulations on a completely new recipe! (Even if you shouldn’t breathe the fumes while making it!) Can’t wait to try it myself, and compare with my usual tub cleaning method, which requires just a little elbow grease. I use my kitchen sponges until they’re literally falling apart–I either microwave them or run them through the dishwasher when I do a load and they don’t smell. When they’re dead in the kitchen, they get a brief life extension as tub scrubbers. Squirt vinegar all over the tub, sprinkle with baking soda, and use the scrubby side (what’s left!) of the sponge. I’m not the most punctual cleaner, so if it only takes me minimal effort to scrub my tub, then I can’t wait to see what your scum buster bar will do! Haha– I do the same thing with my old kitchen sponges! Thank you! I am always looking for the “alternative to the big store chemicals” to clean my home! I’m sure it is not only safer to use (after it’s made, of course) but easier on the wallet also! I was wondering since you say this isn’t “safe” to make, could you substitute the washing soda with baking soda? 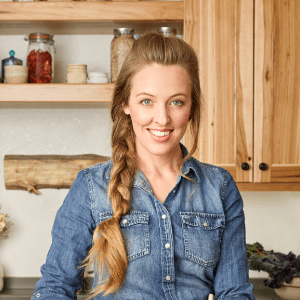 But anyhoo, I love your blog and the recipes you come up with. I have to ask what is your inspiration and how do you come up with all your great ideas? Thank you for taking time to fill our brains with your great ideas!! I tried to make this. Alas I failed miserably. I didn’t know the powders with the soap was going to harden so fast. I was trying to make this as I was reading the instructions and it’s hard reading this off of a tablet(I had to scroll down and my fingers were messy). It crumbled so bad. I have pure castile soap but the ones I have are scented. I don’t know if that made a difference. From the little crumblies I have it did remove the dirt & soap scum but it kept breaking in half and off into crumbs. I don’t want to toss the first batch so I will try this again and will be prepared to work really fast. Yes– it does harden fast, so you need to work quickly. However, I’ve still been able to use the crumbs- I just use a rag to rub them around. Yeah, I didn’t witness any smells either. It did get really warm but I had no smell issues. I also noticed that since I have small crumblies that I shouldn’t have left this in my bathroom because the humidity has gotten to them and when I try to use them they just completely break into the powders they once were. I do use my vent when I shower but that doesn’t help. Oh well. It just gives me an excuse to make another one but this time do it right and leave it in a cool dry place. 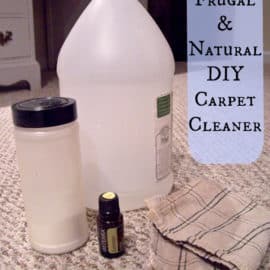 So this post has gotten me thinking about other home made cleaners I have been making and using. I would like your opinion. 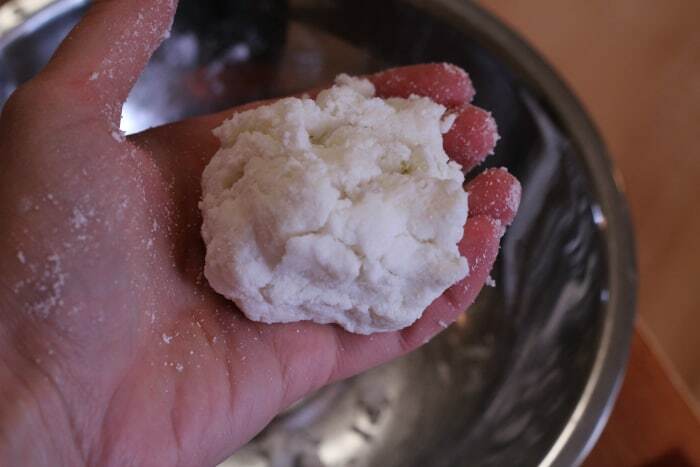 I make my own laundry soap using washing soda, grated castile bar soap, and borax. 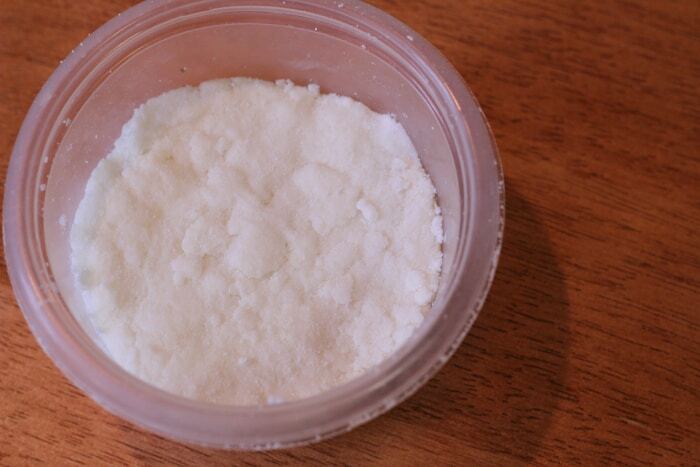 Although this is a powder it clearly changes to liquid when added to the water in the washing machine. I am going to try your bar, but will make it outside just to be safe. Thanks for a great blog I really enjoy it. Hey Michelle– there shouldn’t be anything to worry about in your laundry soap formula. 🙂 And honestly– I’m still not convinced that the chemical reaction that is taking place in this recipe is bad– so still trying to figure it all out. Couldn’t be any worse than paint fumes or bleach, I’m sure. I’ll either mix it in a well-ventilated area or outside and not worry about it. I’m excited to try this because I HATE scrubbing the tub. We have very hard water and an old porcelain tub and it is such a pain. I recently moved to an area with hard water. After several months of cleaning the toilet weekly, I noticed lines developing where the water ran into the bowl. I use a paste of baking soda, bonnets Castile soap and EOs. I’m not a bog fan of scrubbing toilets by hand, so I’m hoping your accidental development will do the job! Wow, this works great! I couldn’t believe how well it cleaned my tub! Thanks so much! Works great! I used yogurt cups to mold them and lavendar Dr Bronners. Thanks!!! Hi! I really want to try this. 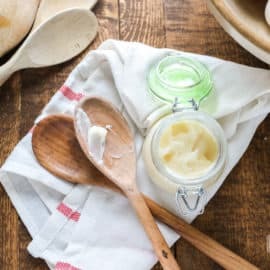 My question is, can you make the liquid castle soap from a bar first, then use it in this recipe? Or do you have to buy the already made liquid? I noticed you said you were expecting to make a paste product from your original recipe and I think I would rather have a paste than a bar, myself. So I’m wondering, if mixing the soda with a little water would eliminate the fumes, why not do that and make a paste instead of a bar? I just found your blog by following a link off someone else’s blog and I’m glad I did, looks like you have a lot of great information here. I’ll be reading for awhile! If fumes can be a concern, do you think the cooking process can be done on the grill or a hot plate outside? The next thing that comes to mind is, to make multiple bars do you think the recipe can be doubled or tripled or should the bars be made one at a time? Have a great day and thank you for sharing your hard earned knowledge with us. Yep– you could definitely double or triple. And yes, if you are concerned about the fumes (I’ve still never smelled any, but…) you could mix it up outside or under a fan. I just wanted to say that I think this is a great idea, and I’m not convinced there is going to be a dangerous fume emanating from this bar! Dr. Bronner’s is completely harmless. I just don’t see how sodium carbonate (or bicarbonate) with Dr. Bronners is going to be harmful. That said, my favorite trick, especially when plagued by hardwater, is extra fine sand paper. THE FASTEST way to clean the shower stall! You can use it with anything, and not have a chemical reaction on your hands. I enjoy your posts, thanks for the info. I agree! But thought I’d cover my bases, just in case. 🙂 I love the sandpaper idea! I agree with the statement mentioned earlier about Dr B having a different agenda. Since you are not “selling” or making a profit, they can not legally do anything to you. Since you are using their product to make a better product then theirs, they are rightfully concerned and would like to throw you “off the trail”. Just sayin’. I’ve been looking this over and reading the comments and questions. The one and only thing that concerns me is the slight possibility that Elizabeth mentioned of Carbon monoxide. Since carbon monoxide has no smell and is nearly impossible to detect, hence the carbon monoxide detectors people buy for their homes. So, if that were the case, and this mixture could possibly cause out-gassing of carbon monoxide, I can see why the company warned against it. That being said, carbon monoxide is all around us, and rarely presents a problem where ventilation is adequate. Personally, I wouldn’t want to lock myself in a closet with a blanket stuffed under the door to make this, but otherwise I wouldn’t worry much about it. I believe I’ll be trying this for my own shower and tub very soon. I was on a DIY rampage yesterday and I found your site looking for a dishwashing liquid soap (which is great by the way). Scrolling up and down I came across your scum bar. I tried it and immediately loved it. I say immeditely as it hardened within minutes. 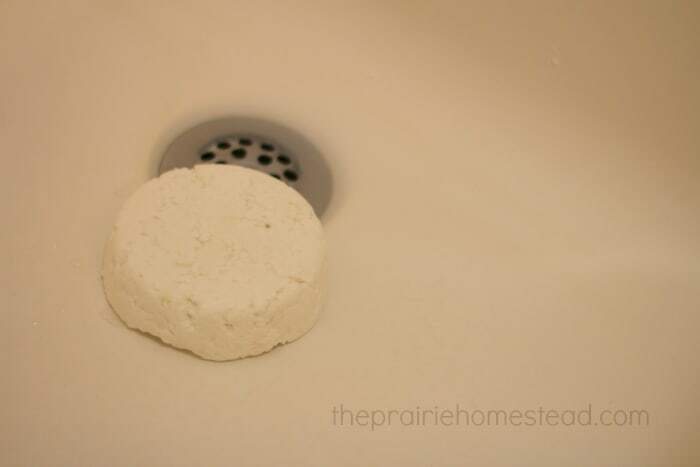 I didn’t have your tallow soap and made mine with 3Tbs Ivory and 1/2 tsp washing soda! Can this bar be used in a plastic like tub ? Sounds like a fantastic bar ! Just read literally ALL the comments- glad I did because I almost gave up on this recipe when I read the update at the bottom. As all my questions were pretty much answered by the thread of comments, I am a little uncertain about one thing if someone could clarify for me. At what point do these “fumes ” ,or more specifically, “carbon-monoxide fumes” become a potential hazard? Is the risk only during the initial mixing and molding ? Does anyone know if fumes are released from scrubbing? Made it, used it. Our master bath (tiled shower stall, glass doors) is getting on 40 years old. The grout is so bad it’s half scrubbed away, has pits and holes in it, and seems to get worse every time I deep clean it. Using this bar on it worked about as well on the grout as just sprinkling the dry ingredients and using elbow grease, but since it was a hard bar and not loose powder, it takes a lot less ingredients to get the job done. Where it REALLY shone was on the smooth floor tiles. I’m not sure how or why that black scum forms, but it’s nigh impossible to scrub off. The hard bar scraped that stuff off when a sturdy brush just kinda mooshed it around. Wear gloves! I also wear a respirator with fumes filters. After scrubbing, I still had to use bleach to get the stall REALLY clean. If the grout wasn’t ancient and harboring nasty deep in its pores – bleach probably wouldn’t be necessary. This bar is amazing! I missed the step where the EO goes in the dry ingredients, and put it in with the soap and ended up with a paste. Realized my mistake and made it the correct way and success! Our bathrooms are amazingly clean now. I used borax instead of washing soda as we didn’t have the latter, and it still worked beautifully, but be forewarned that borax can cause skin irritation. I used a pair of dish gloves when using the bar. Next time I’ll try proper washing soda. It also works great on burned on pans. I left one by the sink and my husband used it to clean up a pan–he said it was amazing!